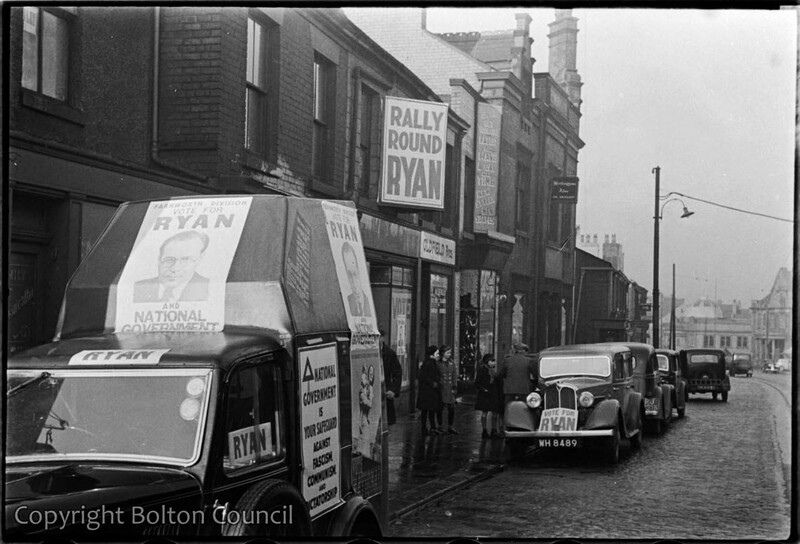 The headquarters of Conservative candidate (National Government) Herbert Ryan for the 1938 Farnworth by-election were on Market Street. The building is now a Balti House (2012). I used to be a bread driver for Mellings bakery. The church on the left was used as the canteen and the Farnworth bakery was up the next st. Queen st.